‘Tis the season to be jolly! 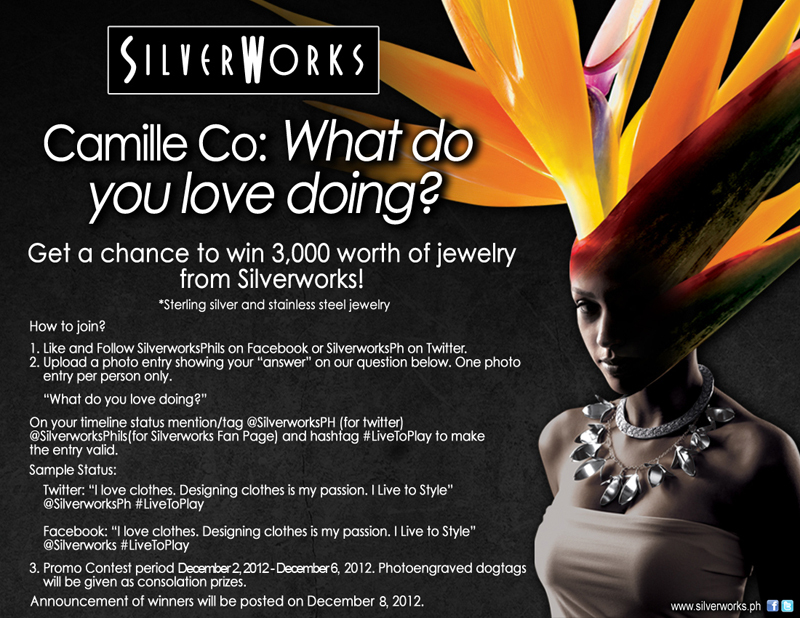 Here’s a new Holiday giveaway from one of the biggest local accessories brand in the country, Silverworks. Do you need some much needed bling for your Christmas outfit? Well then, read on! Silverworks is giving away PhP 3000 worth of jewelry to one lucky reader plus dog tag necklaces as consolation prizes to 3 runner-ups. The mechanics for this giveaway is a little different compared to the usual which makes it much more exciting! Ready to know why? Read the poster below! Now that we’ve clarified everything, you’re all set! Btw, this contest is open to local residents only. Deadline for entries is on December 6 at 11:59 PM. The winners will be announced on both Silverwork‘s accounts and on this blog entry’s comment section below. Good luck! Runner-ups are Jeniffer Gangan, Luningning Arabiran and Akirah. I just want to ask miss camille. Where can i upload photo po? Where are we going to upload our entry? ?